Throughout most of my early childhood, I struggled to find my purpose in life. I was depressed, tired, lacking in self-love, and went to many therapists and doctors to figure out what was “wrong” with me. Most of my younger years were spent in a haze. Doctors prescribed me a multitude of prescriptions and I was ultimately living from a place of confusion and sadness, however, things completely changed after I chose to see a homeopathic doctor. Through the process, I was diagonsed by three different Holistic Doctors who discovered that I had Lyme Disease which had been untreated for years. I began homeopathic treatment for two years and most of the issues that I had been dealing with for so long, eventually diminished. It was like coming home to the person I always knew I was. Lyme Disease will always be something I have to live with and keep in check, but I have chosen to live with it in harmony and not allow it to define who I am. As my health was on the mend, I was finding that the root of my biggest disharmony was the entire lack of loving myself. Self-love is a daily practice that I soon realized would be the catalyst for my entire well-being. I started to see that I was becoming selfless, not selfish. After all, love is the the universal commonality we all share. As I began to understand myself on deeper level, I wanted to understand others. How can I use what I’ve learned and reach the masses of humankind? After spending a great amount of time going to a college I wasn’t happy at and being told I would be a failure if I didn’t graduate college, I decided to follow my heart. I went through The Amma Apprenticeship with April Crowell in May of 2017 and received my certification as an Amma Therapist. I’m very excited to keep learning and growing through more than just a practice, but an overall way of living. Already beginning my career in Amma Therapy, I have grasped that healing is a non-linear, holographic process. While I’m helping others to heal themselves, I’m also healing myself. This intertwining is something I’m in constant awe of, for it begins to unfold as an inner knowing that we are greater and more powerful than many of us choose to recognize. This is a powerful source of wisdom that lies within all of us. My vision is to help facilitate the healing process using the tools we already possess within our own mind, body, and spirit so we can live from our most authentic and highest potential. During a session, I focus on the client’s physical, emotional, and spiritual concerns with Amma Therapy being the foundation. I have found that being in tune with a client, is viewing their needs from a higher place outside of myself. This provides a sense of clarity and awareness without judgement, but rather, a deeper understanding of what they wish to work on. I have a foundation in Chinese Medicine and Asian Bodywork that includes the use of pressure & touch to specific acupoints, energy channels, muscles, and joints. Fire cupping and Gua Sha. I also create artwork that you can find on my business cards. Delaney has a new schedule! Other times may available on Monday, Tuesday, Thursday, & Weekends if prior arrangements made! 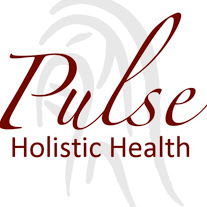 Online booking is currently not open for appointments with Delaney, so please email her at delaneydwilley@gmail.com or call Pulse at 208-955-8272.